Undercutting is when a performer either unintentionally, due to lack of knowledge about what the market value of their acts are, or deliberately performs for a fee less than the going rate for an act or acts. Because it means that no circus performer will ever get a decent pay cheque from that company again. Most corporate clients will to try and talk down the price of entertainment anyway; as it is not something that they necessarily place a high value on (we’ll get to that bit in a minute). As such, once they’ve received a product for a certain price, there is no way that they will pay more for what they perceive to be the same product, even though there might be a high discrepancy in the quality of the act, or even a different type of act entirely. So why would anyone do this deliberately? Often performers, especially young or emerging performers feel like what they are charging is too much for what they have to offer. I mean, $200 for a 5 minute performance seems like a great rate, right? Well, no. Let’s break it down. How much money have you spent on purchasing and maintaining your equipment? Have you spent time and money gaining certifications so that you can legally rig it yourself? How much have you spent getting costumes made for you? Or how much time have you invested in making them yourself? How much have you spent on classes, or hiring a venue to train and rehearse in? How many hours have you spent training your act, and rehearsing specifically for that gig? Still feel good about charging $200 for that gig? See, it’s all about perceived value. Perceived value refers to what a client thinks an act is worth. This directly relates to what you can charge for an act, and even how you are treated at the gig. Generally, the more expensive something is, the more we value it. Therefore, if you are charging appropriately, you will be seen and treated like the amazing performer that you are. 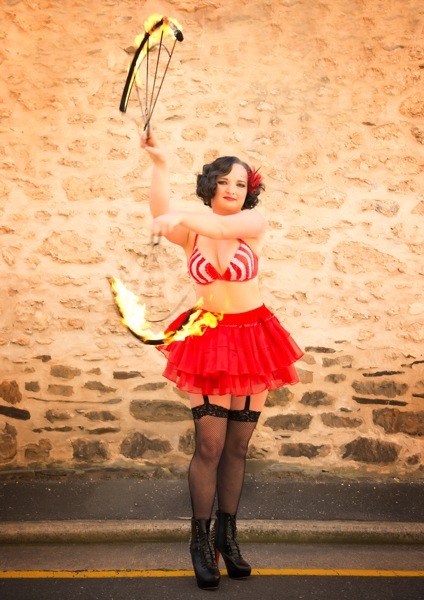 If you are undercutting for a pittance, the client will not only treat you as expendable, but they will perceive a circus performance as something that they could probably do without for their next event NO MATTER HOW GOOD YOUR ACT IS. In this way, you’ll be creating a lose-lose situation for you and the rest of the circus community in your area. Not only do you not receive a sustainable pay cheque, but you’ll deteriorate the market value of circus acts in your region and piss off every other performer in your town to boot. Remember, you are a professional! The product you are selling is your act/s, and your fee should reflect the hours upon hours of work that you have put into perfecting it. And whilst most performers have to supplement their income with teaching or some non-circus related day job, the ideal is that you are able to support yourself of your performance alone. Sadly, since large corporate gigs are often few and far between, you want to make sure that the fee you are charging is sufficient to keep you housed and fed until the next one. I’m not a professional performer; I’m doing this through a school. So it’s ok to work for less, right? If you an adult and are performing at professional gigs, such as for corporate events, then you can consider yourself a professional performer, and thusly should be charging corporate rates, for the above mentioned reasons. If you are uncomfortable labelling yourself as a professional for whatever reason, consider passing over the gig to someone who is. If you are doing such gigs booked through a training school, you STILL need to be paid appropriately. They may want to take a cut, that’s fine, most agents etc. will do the same, but it shouldn’t be more than about %10. If they are charging corporate rates but not passing the bulk of that fee on to you then you are being taken advantage of. If they aren’t charging appropriate rates to clients on the basis that you are a student or similar then they are undercutting AND taking advantage of you! Keep in mind, if you have a day job/normal career and are just training circus as your hobby and taking corporate gigs, you will be doing a professional performer out of that gig. Someone whose income may rely on such performances. Be especially wary if that someone is your circus teacher!! There. Now that I’ve no doubt stirred up some controversy (at least I hope I have), leave me your take on the situation in the comments segment. Converting Religions: What to Expect When Coming to Aerial from Pole Dancing. Yes, I know pole dancing is hard too. But Silks is hard even compared to pole. DON’T expect to be put straight into the advanced class. Although there are some techniques that cross over between pole and aerial apparatus, most of it doesn’t and even those that do will feel different on silks or hoop. By the time you get to an advanced class, these basic techniques are assumed knowledge. With your superior strength and flexibility you’ll probably pass through the beginner stages and into the advanced class very quickly, however you’ll be starting in the same place as everyone else. Do be open minded and listen to your instructor. If something I am explaining seems an awful lot like something that you can do with ease on the pole, just keep listening. 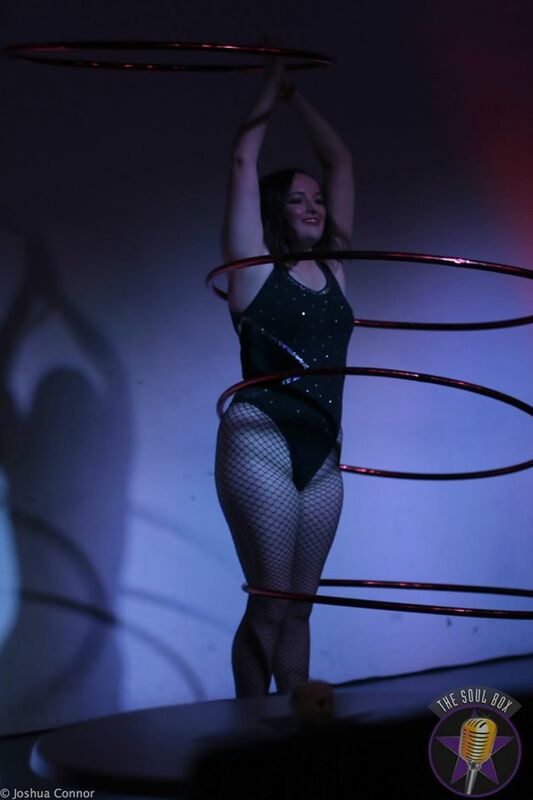 There may be differences in technique; it is a hoop, not a pole, after all. In pole dancing, the idea of wearing very little clothing is to use the friction of your skin to stick to the pole and assist you in doing tricks. In aerial, however, we use wraps and locks to hold us in tricks, and said friction leaves unpleasant burns on your tender skin. Make sure you wear clothes that cover your legs to below your knees, and a top with sleeve to protect your armpits. Are you wondering why your classmates seem a bit stand-offish today? Like that girl was giving you daggers when you got your hiplock on your first go? Well, she’s been working on that for six weeks. Or from that other girl when you were told you’d be moving to the intermediate group after 3 lessons? She’s been working on her beginner’s routine for 3 months. This is not the time to rub it in their faces or make unhelpful and potentially hurtful remarks. Remember, everybody learns at a different pace, and you came into this with a distinct advantage. Nobody likes a gloating Gertrude. Pole dancing and aerial arts complement each other beautifully. Just keep these few tips in mind, and you have a wonderful time in class. Now, get training! Why Your Child Should Also Circus Do you own one of THOSE children? You know the kind I mean. The kind of child who can never sit still? The kind of child who is always climbing things, be it playground equipment, trees, the down-pipes? The kind of child who is always creating little “performances” and insisting you watch? 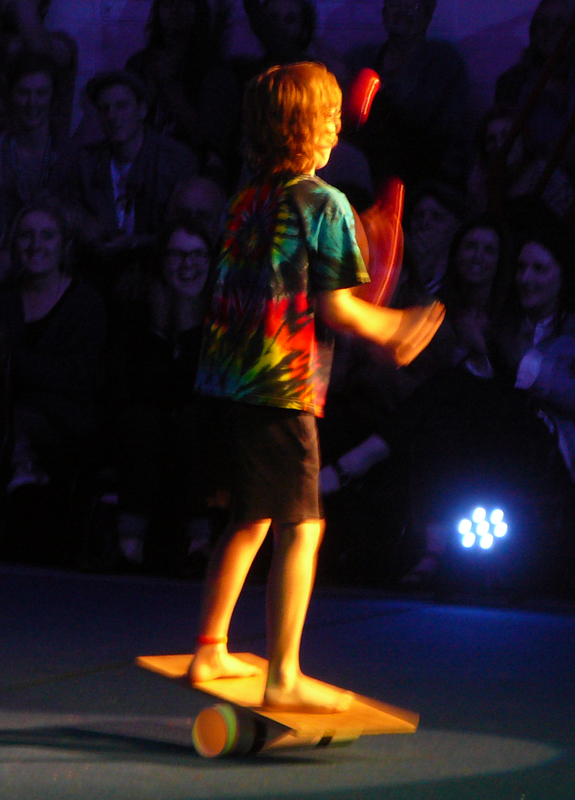 Well, you might have a mini circus performer on your hands! And the benefit for kids of learning circus skills goes way beyond simply learning to juggle or do a forward roll… Benefits for your child’s physical development: Because of the varied nature of all the disciplines that can be labelled as “circus”, attending a class that covers a variety of skills can improve your child’s gross and fine motor co-ordination, hand eye co-ordination, and spacial awareness. It is also an excellent way to get your child involved in physical activity in a non-competitive environment. Benefits for your child’s social development: Circus classes are an excellent way for your child to learn the fundamentals of social cohesion. Many of the disciplines that children learn in a circus class are group activities (such as human pyramids and acrobatics), or can be adapted into inclusive group activities (such as performing juggling or other manipulation apparatus as a group). This teaches children how to work effectively as a group to see not only shared benefit to the group as a whole, but also how working as part of a team can benefit them as an individual. Circus is also a perfect outlet for your child to explore their creativity within a group setting. In such a manner, your child will learn to express their ideas, listen to other children’s ideas and work to compromise and collaborate these ideas into a final presentation that the group as a whole can be proud of. Benefits for your child’s personal development: As with many things in life, circus tricks are not going to be perfect or even successful on your first attempt. By repeated trial and error, your child will learn the value of practice and perseverance when it comes to achieving a desired outcome, a valuable lesson for their later life. This is also value in developing the ability to problem solve. If the trick didn’t work the first time, why is that? What can we change that might make it work this time? It’ll get your child thinking outside the box and approaching each challenge with a fresh perspective. As mentioned before, circus is a wonderful way for your child to explore their creative side, whether it be through creating performances, or simply by exploring the boundaries of a given piece of equipment, for example, an instructor may say: “Here’s how to spin a hula hoop around your waist. Can you think of other parts of your body to spin it? What other trick can you do with it?” Through mastering such skills and then performing them to an appreciative audience, your child will gain confidence and a sense of achievement. Benefits for your child’s academic development: It may not seem like the most obvious benefit, but leaning circus can be hugely beneficial to your child’s academic development. There have been numerous studies that show that learning to juggle uses both the left hemisphere of the brain (the side responsible for creativity and problem solving), and the right side (the more logical, analytical side). This can encourage children to approach situations from both a creative angle and an analytical angle simultaneously. There have also been studies in teaching circus skills to “at risk” indigenous communities. The researchers found that the kids participating in the circus skills workshops were less likely to be truant from school, were able to focus for longer periods of time and performed better in academic tests than those who did not participate in circus workshops. In this way the participants in the study (and your child as well) were using the life skills that they had learned in their circus workshops, such as perseverance, focus, and problem solving and applying it to their everyday lives to create a better academic outlook for themselves. The benefits of learning circus arts to children go far beyond the obvious, and are also amazingly fun for kids. So what are you waiting for? Go find the circus school that’s closest to you!